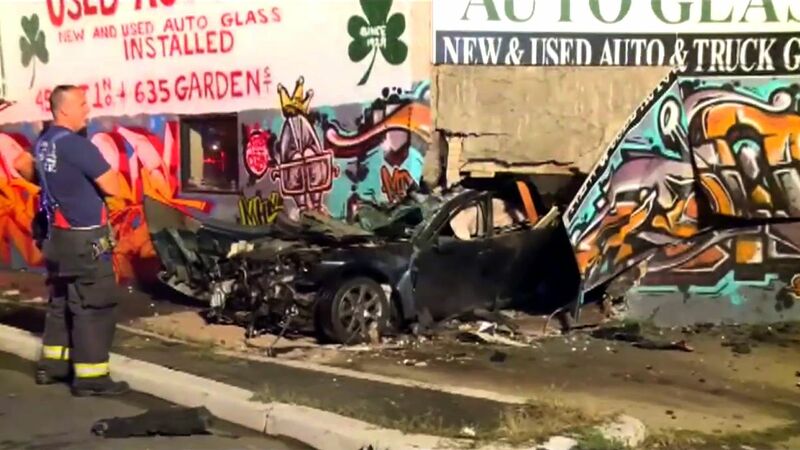 ELIZABETH, New Jersey (WABC) -- A car crashed through an auto body business in Elizabeth early Tuesday. The driver lost control and drove through Elizabeth Auto Glass and Auto Wrecking just after 12:30 a.m.
Two people sustained non-life threatening injuries. Northbound lanes of Routes 1 & 9 were closed for the police investigation.